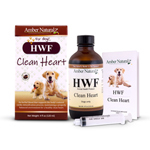 Hawthorn & Dandelion is a natural organic remedy developed to help strengthen your pet’s heart. It is being used in conditions such as heartworm. Heartworm is a condition that can cause Congestive Heart Failure. 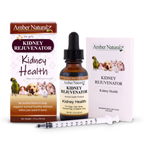 Hawthorn & Dandelion is excellent for senior pets. Mild to moderate heart failure symptoms are heart enlargement, lethargy, difficulty breathing, elevated blood pressure, pulmonary edema which causes the animal to cough as to clear the lungs. Severe heart failure symptoms include: All of the above and weakness, difficulty breathing (even at rest), fainting, profound intolerance to exercise, loss of appetite, weight loss. 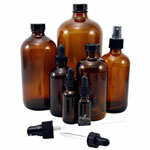 Hawthorn & Dandelion contains: Organic hawthorn, dandelion, alcohol, and filtered water. Larger Animals: Add 5 drops for every additional 100 lbs. of body weight. Shake well before use. Select dose from chart above. Give orally 4x/day. 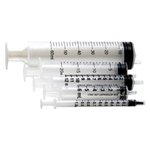 Warning: The dosing guidelines MUST be followed precisely as written. One must not exceed the daily recommended dose. As with any medication, overdose of this product can cause serious illness, to include irritability, change in consciousness, stupor, coma, or death. Watch for allergic symptoms such as hives, trouble swallowing and swelling around the eyes. If one is experiencing any adverse symptoms or notes any adverse signs, then cease using this product & immediately contact your nearest emergency medical system. The use of Hawthorn & Dandelion in the presence of endocrine pancreatic dysfunction (e.g. diabetes mellitus or acute infectious pancreatitis) and evidence of liver disease is a contraindication due to the presence of ethyl alcohol in this product. Alcohol may be removed by protocol (for every drop of Hawthorn & Dandelion, add 1 drop of hot water and let cool). 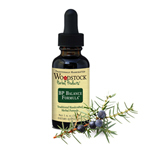 BP Balance Formula ~1 oz. Hawthorn Berry - 1 oz.